STAMPEDE GOLD RESOURCES, LLC IS focused on gold production and exploration in ALASKA. Our primary project is at Ophir, Alaska. Our affiliate exploration company, Alaska Gold Exploration, LLC has identified new mineral resources between Ophir and Flat, Alaska. Collective portfolio. All of these properties represent primary lode gold exploration targets. ALASKA GOLD MINERS WERE KNOWN TO “STAMPEDE” TO NEW GOLD DISCOVERIES! 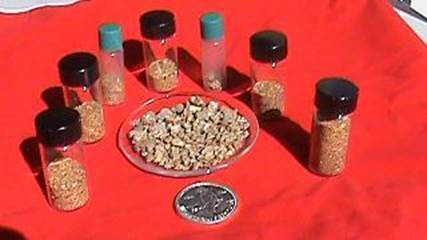 The Innoko Mining district has produced hundreds of thousands of ounces of gold. Ganes Creek and Yankee Creek were the largest gold producers. Production at Ganes Creek was over 100,000 ounces and Ophir Creek over 70,000 ounces of gold. Spruce Creek and Little Creek produced over 100,000 ounces of Gold. Anvil Creek produced several thousand ounces of Gold. 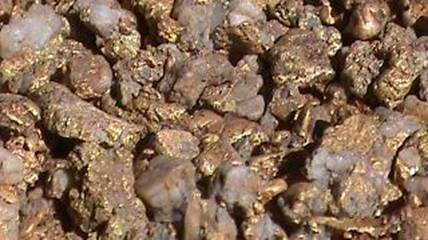 Gold was discovered on Ophir Creek in 1908. Ophir a busy mining district in recent years. Production at Ophir Creek from 1908 thru 1961 has been documented to exceed 66,489 ounces of gold and 7,004 ounces of silver. Little Creek add another 160 acres. Contained gold in the dragline tailings on Ophir Creek have been sampled and exceed 70,000 ounces. Stampede Gold Resources, LLC has a fully provisioned mining camp established at Ophir Creek near the Innoko River. Visit www.ophir-alaska.com for information on gold mining activities at Ophir Creek. Ophir airport is 3000 ft. gravel and provides access into and out of Ophir. Supplies can be flown in from McGrath, Anchorage or Fairbanks. Diesel Fuel is routinely flown in from Fairbanks and Anchorage. Air charters are available for the short flight from McGrath to Ophir. A state maintained gravel road runs from Ophir to the town of Takotna. The road extends to Sterling Landing on the Kuskokwim River. Sterling Landing is about 8 miles south of McGrath on the Kuskokwim River. River barges from Seattle provide barge service to Sterling Landing.